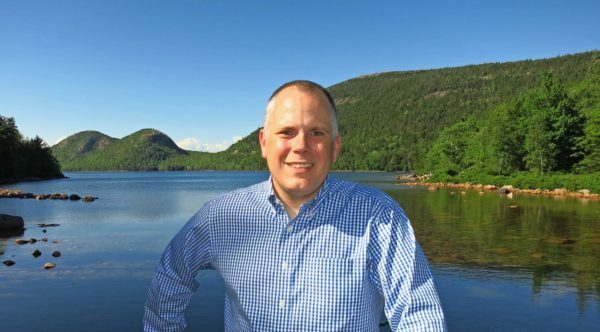 A Bar Harbor restaurant owner has filed the necessary paperwork with federal election officials to run for Congress in Maine’s 2nd Congressional District as a Democrat. Tim Rich says to beat incumbent Bruce Poliquin he has to start his campaign early. “I think it’s important when you are up against a two-term incumbent to understand that it is going to be a difficult election, and that you need to start early and work very hard and raise the money, and you need to be out in Maine meeting people,” he says. Poliquin already has more than half a million dollars raised for his re-election campaign. Rich says Poliquin is wrong on key issues facing the 2nd District like health care. “I think his disastrous vote on health care is certainly one reason. I think the fact that he would rather duck into bathrooms than talk to folks in the media and try to explain why he is voting to Mainers. I think the fact of the matter is Mainers are sick and tired of it,” he says. Rich will formally kick off his campaign next month.